Heavyweight knitted cap in very high quality. 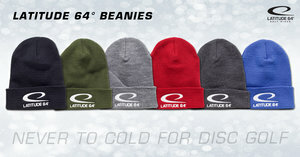 Latitude 64° logo embroidered on front. 30 cm long without fold up. 22 cm long with 8 cm fold up.